MARVIN FIRESTONE, JD, MD is a Neuropsychiatrist certified by the American Boards of Psychiatry and Neurology (with Added Qualification in Geriatric Psychiatry-1995), Forensic Psychiatry, and Legal Medicine and has served as Examiner for the American Board of Forensic Psychiatry. He is a frequent lecturer at national legal medicine conferences and has authored numerous journal articles and book chapters, including articles on assessment of brain injury and malingering, and book chapters on Psychiatric Patients and Forensic Psychiatry in Legal Medicine (Mosby) and on Neuropsychiatric Assessments in Head and Neck Injury Handbook (Shepard's McGraw Hill),and on Personal Injury Assessments in Textbook of Forensic Psychiatry (APA). Dr. Firestone holds a medical degree from Temple University (1964) and a law degree from the University of Colorado (1980). He is a Fellow of the American Academy of Forensic Sciences, a Distinguished Life Fellow of American Psychiatric Association, and is Past President and Fellow of the American College of Legal Medicine; he is Editor-in-Chief Emeritus of Legal Medicine Questions and Answers, on the Editorial Board of Journal of Legal Medicine and Deputy Editor of Legal Medicine, publications of the College. He formerly held the Hirsh Chair at the George Washington University in Washington, D.C., where he was Professor at both the Medical and Law School, as well as the School of Health Services Administration. He is Past President of the Northern California Psychiatric Society, the District Branch of the American Psychiatric Association. He is Past President of the San Mateo Psychiatric Society and the Board of Directors of the San Mateo County Medical Assocation, a component of the California Medical Association. He is Medical Director of the Neuropsychiatric Head Injury and Dementia Evaluation Services at Sequoia Hospital in Redwood City and Consultant in Neuropsychiatry at the Brain Injury Rehabilitation Unit of the Palo Alto V.A. Medical Center (associated with Stanford University School of Medicine). He serves on the teaching faculty of the Psychiatric Residency Training Program at San Mateo County (CHOPE) Hospital and is a frequent lecturer at the UCSF and Stanford Psychiatric Programs. 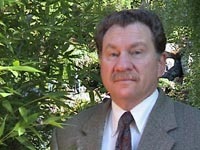 Dr. Firestone provides medical-legal consultation and neuropsychiatric evaluations for the Courts and the legal community and has served as expert witness on numerous cases involving head injuries and post-traumatic stress syndromes, conservatorship needs, testamentary capacity and mental competency in civil, probate and criminal matters. Please click here for complete Curriculum Vitae.